The LiGO project, awarded for having detected gravitational waves as predicted by Einstein, has been using the MareNostrum through Dr Sascha Husa. The MareNostrum Supercomputer, in the Barcelona Supercomputing Center, has allocated 32 million processor hours to make calculations for the project that has been awarded with the Nobel Prize for Physics. 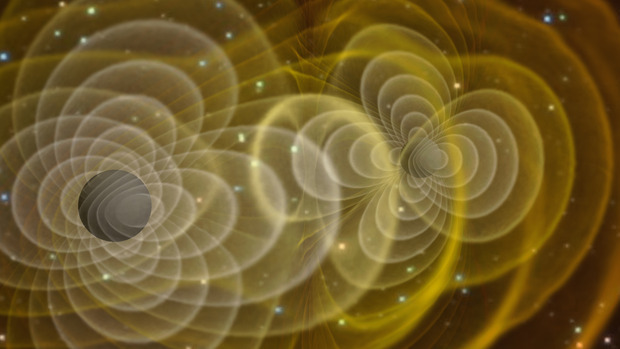 The research done in the framework of LiGO project, awarded for having detected gravitational waves as predicted by Einstein, has been using the MareNostrum through Dr Sascha Husa, Theoretical Physics Professor of the University of Illes Balears (Spain) and member of the project. In this video, Dr Husa explains how he uses MareNostrum for his everyday work: “In my research, I am interested in the study of gravitational wave signals, which are created when two black holes collide; the most violent events in the universe. My particular job is to solve equations and calculate, with very large calculations, what such collisions look like and what exactly are the signals that are given off. Experimentalists in the LiGO collaboration can compare my predictions with the data and find out which systems have created these signals, and for these calculations we have to use very large machines. My home machine is MareNostrum; I log into the machine almost every day and the importance of MareNostrum for our work is very easy to explain: without it we could not do the kind of work we do; we would have to change our direction of research”. Dr Husa and his team access MareNostrum through different calls which are opened periodically by the European network PRACE (Partnership for Advanced Computing in Europe) and RES (Spanish Supercomputing Network), to grant access to the most powerful Supercomputers in the EU to European researchers at the service of science. The access to these machines is calculated in “processor hours”, also known as “calculation hours”. PRACE has given them access to 20 million processor hours of MareNostrum and RES has designated to this research 12 million hours of MareNostrum supercomputer, 1.2 million hours of Finisterrae supercomputer (from Centro de Supercomputación de Galicia) and 480,000 hours of Caléndula supercomputer (from Centro de Supercomputación de Castilla y León).